Afri-Tech specialises in the supply of screen and filter cloths, used on linear screens, vacuum belt filters, and belt presses worldwide. With a large range of available cloth options, the company aims to satisfy the customers’ needs and technical requirements, allowing it to provide advice and technical back-up. Afri-Tech manufactures and supplies screen and filter cloths, in addition to wet screening spare parts, to complement a broad array of machines such as Delkor, Roytec, and Tenova, making its range of wet screening spares ‘universal’. Single-layer: monofilament polyester; mono / multifilament polyester. Double-layer: double-layer polypropylene, 20µ-85µ; double-layer polyester, 20-50µ. Pressure belt press belts are used for de-watering sludge in wastewater treatment plants, paper and tissue plants, coal plants and abattoirs, as well as paper effluent plants. Belts are available in widths of up to 3m, and there are options for monofilament polyester, spiral belts, anti-static spiral belts and polyester / polyamide belts in various weave patterns. Linear screen cloths are made of polyester and apertures range from 400µ to 2,000µ. Suitable for linear screens and trash screening, standard widths such as 1.9m, 2m, 2.5m, 3.5m, 4.5m, and 5.5m are available. Afri-Tech’s Brush Type Spray Bar is a fully stainless-steel construction has domed spray nozzles, enabling easy cleaning via an internal stainless-steel brush. The Spray Bar can be cleaned and flushed while the machine is in operation, and is used mainly for continual cloth cleaning. Afri-Tech is a supplier for CAMTAC tracking valves, which control the tracking roller on most wet filtering machines, optimising the lifecycle of the cloth. All CAMTAC Tracking Valves purchased from Afri-Tech are branded with both the CAMTAC and Afri-Tech logos. Afri-Tech’s tracking system receives its ‘commands’ directly from CAMTAC’s tracking valves and moves rollers according to the position of the cloth. Afri-Tech’s cloth support rollers feature a solid shaft running the entire length of the roller. Standard sizes of 2.05m, 2.7m, 3.7m, and 4.7m, with diameters of Ø114, Ø127, Ø152, Ø180 are available. Drive rollers and tail pulleys can also be manufactured with solid shafts, and diamond lagging and locking elements. The locking element design facilitates shaft replacement if and when necessary, this design allows for long-term cost savings on the large diameter rollers. The Afri-Slide System is designed to replace the cloth support rollers on a linear screen using no moving parts, roller knife edging, grease or plumber blocks, saving money and time. Afri-Tech’s spray nozzle solution has been developed for clients experiencing problems with blocked nozzles, which increases operation costs. The system comprises a nozzle that can be cleaned with the press of a button during operations. The company currently offers two sizes in this fully stainless-steel construction. The control panel is included and works with the same feed water that the nozzle uses to spray or if the client wishes to use air as a feed to the control panel this is also possible. This option of air or water is due to Afri-Tech using a superior water and air control valve. The air bellow is used on wet screening machines for tensioning or tracking applications. These rubber air bellows act as pistons, moving the tracking system into position or tensioning the belts to increase or decrease pressure. It is recommended that bellows be changed once they start showing signs of deterioration and/or cracking. Afri-Tech offers a wide range of spare parts for wet screening solutions, including air filter regulators, stainless-steel locking wire and tracking valve paddles. The company also supplies spray bar components such as nozzles, hand wheels, and dump valves. The Power Nozzle is a spray nozzle which can be cleaned remotely without stopping production. The Power Nozzel is ideal for a large range of applications, from high volume to low volume high impact washing. Offering a wide range of screen and filter cloths, combined with a 98% customer satisfaction, Afri-Tech is one of the leading suppliers of screen and filter cloths in Africa. The Indaba, the Mining Indaba that is, currently being held on the Southern tip of Africa in the City of Cape Town. Arguably, this is the biggest mining discussion being held in the world currently. Can one product increase your process plant's environmental status, as well as your productivity? You bet! Afri-Tech is proud to be part of Electra Mining Africa 2018. The Leiden Tracking Sensor, one of Afri-Tech’s flagship offerings, is a revolutionary product in the tracking of filter cloths, belt press belts and linear screen cloths. 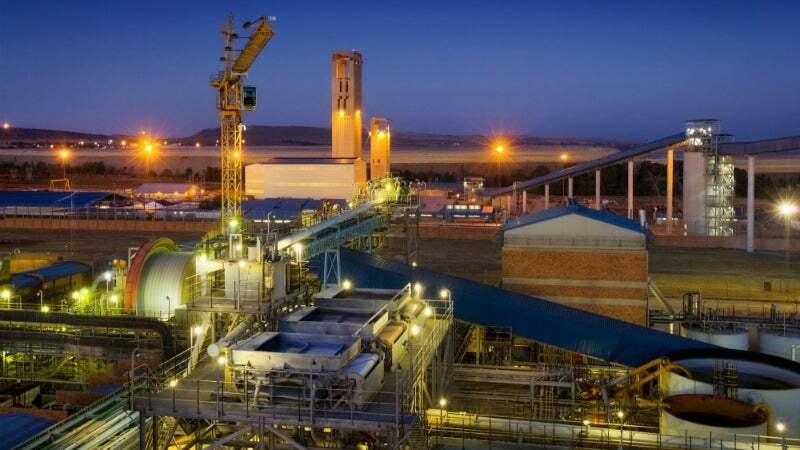 Afri-Tech Mining Supplies, one of South Africa’s premier screen and filter cloth suppliers, has announced the opening of a new branch in The Free State, South Africa. Afri-Tech has been concentrating on assisting our client within the Eastern Limb of this complex and is proud to announce the successful installation of the Afri-Tech Power Nozzle.